I don’t think anyone really knows what I’ve been through over the past 7 years. Much of it has passed in silence and in long periods of solitary isolation. It’s been like a Vipassana experience only there’s no returning to friends and family afterwards. It continues day after day. Solitude challenges you and maybe that’s the point. I was born with a strong mind and this is what it’s taken to overcome it. To master it. But I know my mind is not my weakness as it’s precisely its ability to absorb and process new concepts that’s become my strength. It occurred to me recently I was supposed to ‘wake up’ to my soul purpose over a decade ago but it didn’t happen and so it’s been a case of rapid catch-up, particularly over the past 4 years, where my Ascension experience has taken me through several initiations of spiritual energy before I even fully understood what was happening. I can see now the solitude has created the space needed for this advancement to occur, even at the expense of a ‘normal life’, so I could be exactly where I am right now in this very week. This is an extraordinary time bringing the Pisces ‘Harvest’ full moon, the Venus-Saturn-North Node conjunction, Pluto moving direct and the September Equinox. There is a gateway opening now that’s pushing us to be all we came here to be. A rebalancing within ourselves where Soul and Ego energies acknowledge each other and our feminine and masculine energies find their equilibrium. It is a week where fate and destiny are at play, where we are being called to walk the Earth in acceptance of our own power and our own gifts. 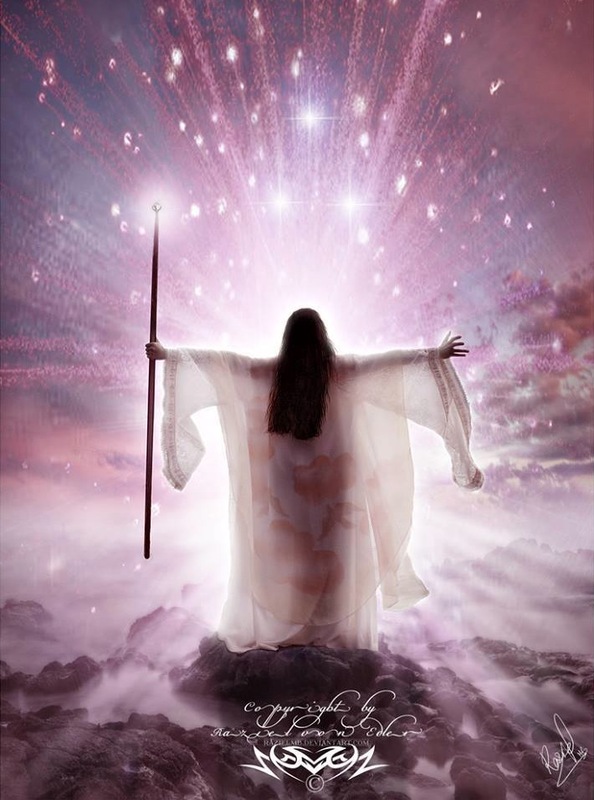 As a Pleiadian Soul awakening to her Lemurian past, I can now see my role as an Energy Healer who, like many others, is here to help the passage of Gaia and her people into the energy of the 5th Dimension. But you can’t empower others until you understand yourself and so this past 7 years has been a journey of facing my own pain and sorrow. They say only sadness can open the Heart and there’s no arguing my Heart is wide gaping open. But this year, the energy has been different. I came home in tears one night in late January to a voice telling me to go to New Zealand. I ignored it but it persisted so I booked a trip for Easter not knowing what to do and when I found myself with the opportunity to be personally guided onto Aotearoa’s most sacred site, Te Miringa Te Kakara, it was clear this was not just a pretty sight-seeing tour. A month later I was at Uluru, the most sacred power site on our own land and a few days after returning home I experienced a significant energy opening that connected me to the channel of my Pleiadian Soul who then directed me back to NZ again to Piha Beach, another sacred location, where I experienced a further energy opening under the rays of the first Sirian Merkabah and Lion’s Gate stargate. Spirit clearly has a sense of humour sending me to Lion’s Rock for the Lion’s Gate and then to the Blue Mountains for the Blue Moon but follow the guidance I did and now today I find myself in a lush and fertile mountain valley in Northern NSW. As I sit here under a clear moonlit sky, with the Pisces full moon in the east and Venus and Saturn in the west, I can see the magic of it all. This feels like heartland country, if ever there was a place and it makes perfect sense to be here now. It’s time. This week is breakthrough energy. This is where something shifts, where we fall a little deeper into the mystery of life. And we will be different for the experience as this is what Ascension does. It pushes and pulls at us, at times it even squeezes the life out of us. But it changes us. It makes us see ourselves for who we really are. Our Souls are with us now, encouraging us to walk tall and proud over that Rainbow Bridge, saying yes, this is me and this is what I’ve been through to get here. It’s knocked me down but I got up again. I may have a wide open Heart but I’m no longer hanging off the edge of life. I’m right here. I have arrived. The 2 step forward 1 back is so right. I wonder when things are going to finally equalize? It seems like a long draining rollercoaster ride…. oh I will … I’ll be celebrating!